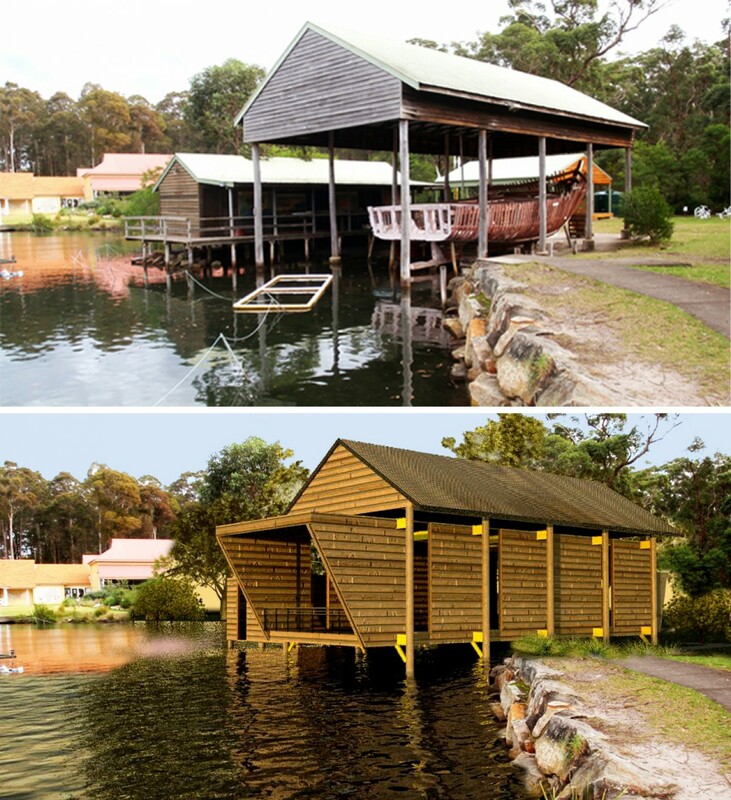 The brief for this project was to design a Marine Lab over an existing fish pond. 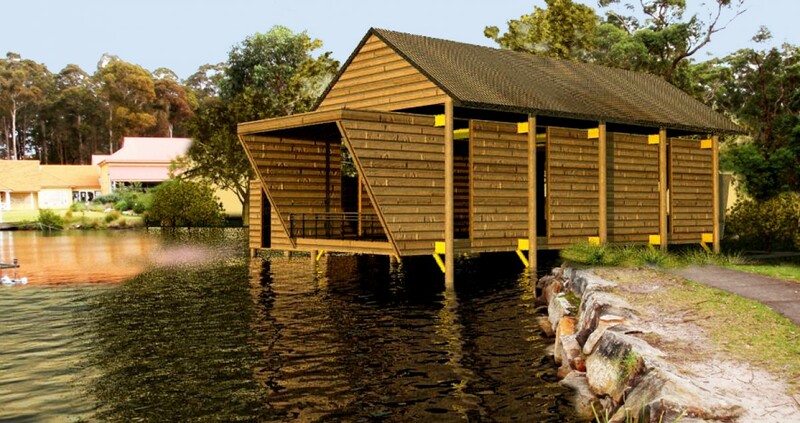 Placed under an existing heritage boat shelter at the edge of the pond, the Marine Lab is suspended by steel structure from the shelter's hardwood poles. Entrance from the rear leads to an open floor plan along the lab for equipment and desks. On the other end, a balcony is open to the water and surrounding views.